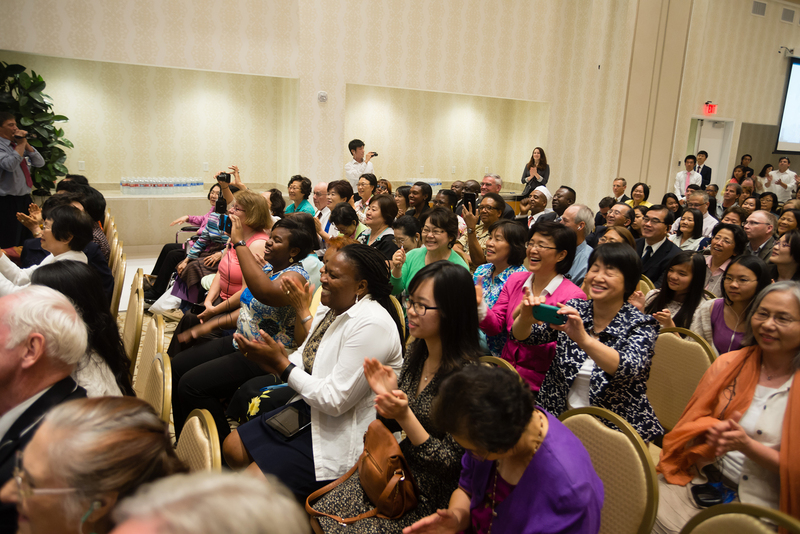 FFWPU USA, May 31, 2015: After the energetic, jammed pack events of the weekend, True Mother took another opportunity to love and embrace our community by hosting a victory celebration with local Unificationists and guests from around the country at the International Peace Education Center. 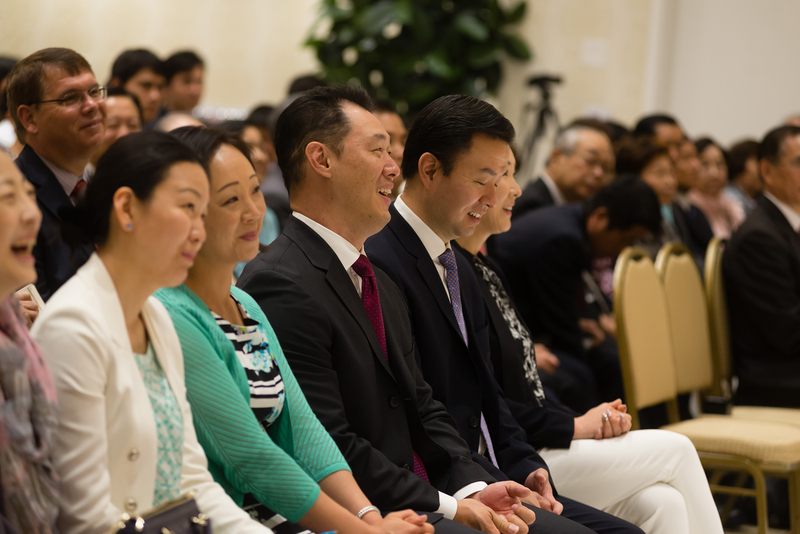 Participants were in high spirits fresh off the heels of 1,000 day memorial celebration for True Father. 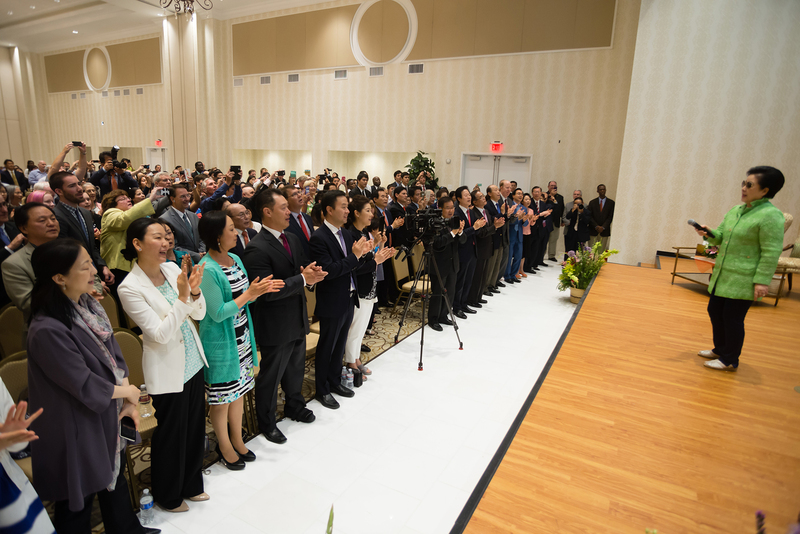 Attendees prepared for True Mother’s arrival by singing holy songs, and welcomed her with a beautiful bouquet of flowers, offered by two Unification Peace Academy Cadets. Following her entrance, Teresa Ferrete gave a heartwarming reading on the great value and need for True Parents in society. 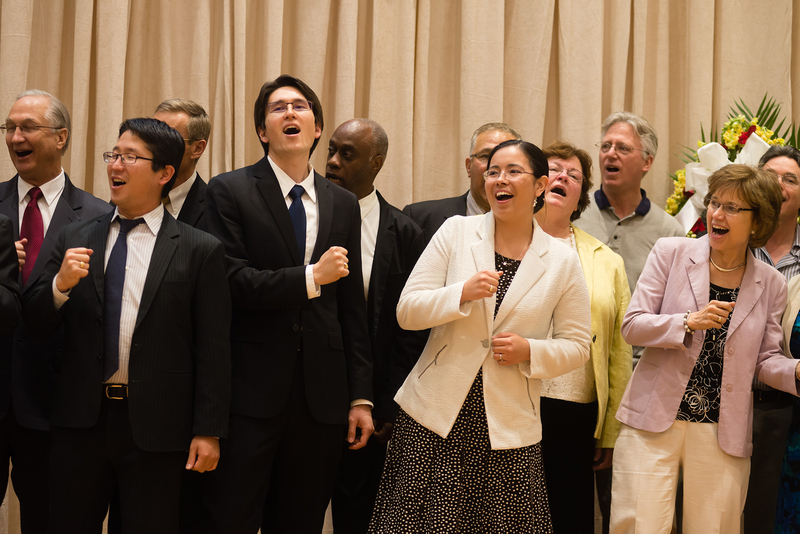 Then, it was back to singing, with different groups performing rehearsed numbers. Generation Peace Academy participants gave an energetic performance of “Battle Hymn of the Republic,” featuring choreographed moves. Not to be outdone, CARP Las Vegas brought a smile to True Mother’s face by introducing themselves in Korean, before singing a rendition of, “Stand By Me.” Delight was clear with the closing entertainment as True Mother chuckled at the dance moves of Japanese Missionaries, performed to a song from a popular Manga. With excitement and enthusiasm of the performances still filling the air, Mrs. Clair Daugherty humbly testified to True Parent’s heart and message, focusing on the meaning and importance of Ancestor Liberation. 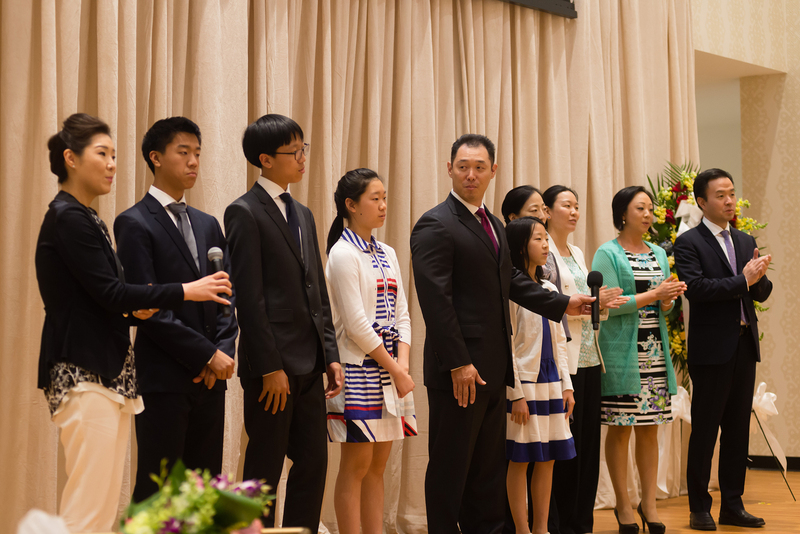 Kailey Teo, a third year GPA participant also gave a moving testimony expressing her love for True Parent and her desire to offer her heart and life to True Parent’s to just see their precious smile. 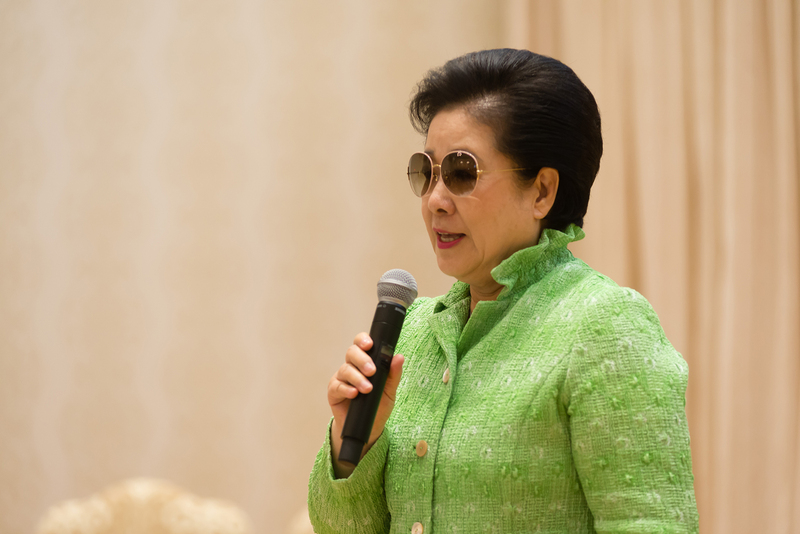 She also excitedly announced that she plans to come back to Las Vegas to work with CARP and to go to school at UNLV when she completes her final GPA year. 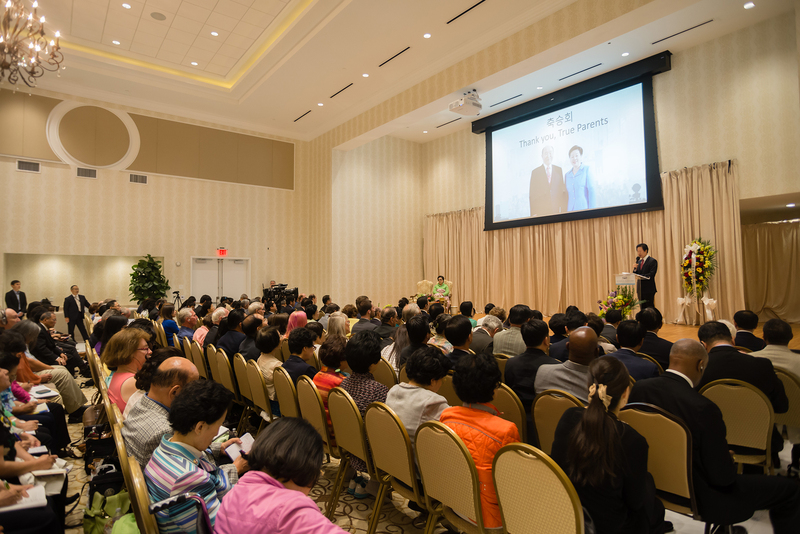 Dr. Manho Kim, Director of FFWPU International, concluded the testimonies by offering a special report to True Mother regarding True Mother’s work in Europe, the significance of her investment there, and the special events that happened in America. 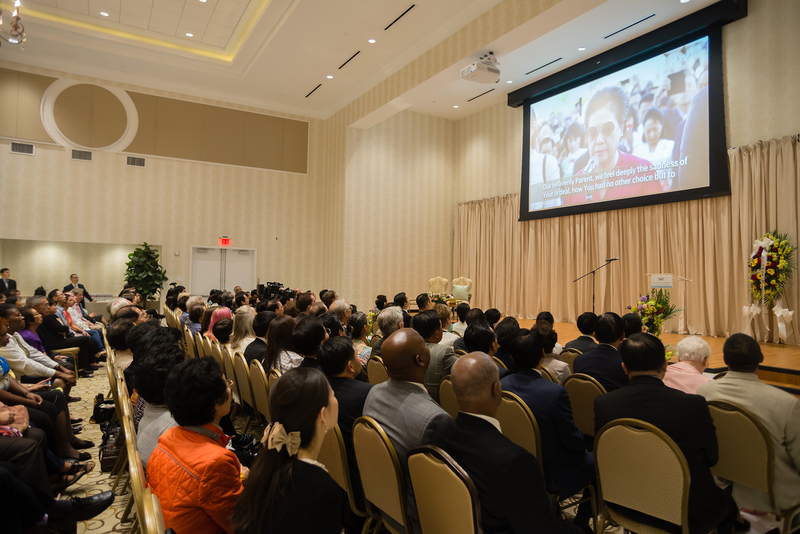 True Mother’s joy could not be contained; with Dr. Manho Kim’s last words, she quickly requested the microphone and with a light-hearted comment that she had spoken so much over the past couple of days, she asked instead for more singing. 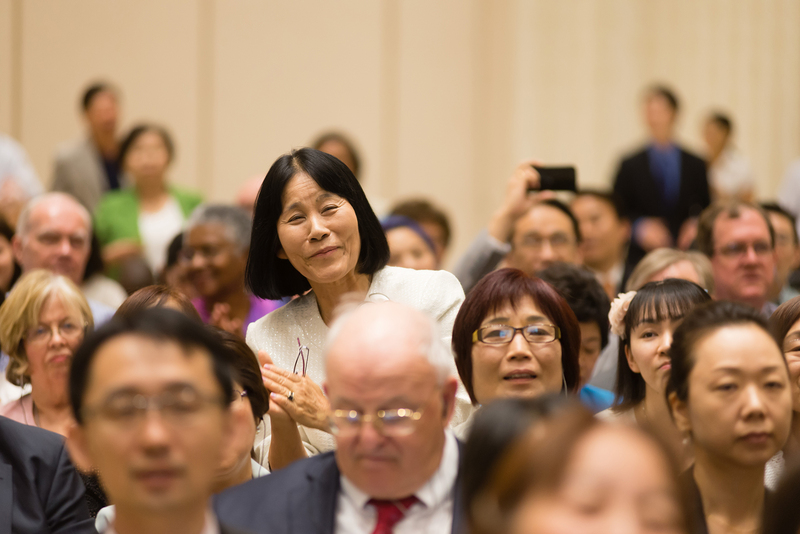 She called on all the Korean leaders to offer a song to America, and they more than obliged with two lively songs complete with synchronized choreography. It was such a hit, so she asked the Japanese leaders to come to the stage. With so much heart and love they serenaded us.